Ramalinga Reddy had served as the transport minister and later as the home minister in the previous government led by Siddaramaiah in Karnataka. 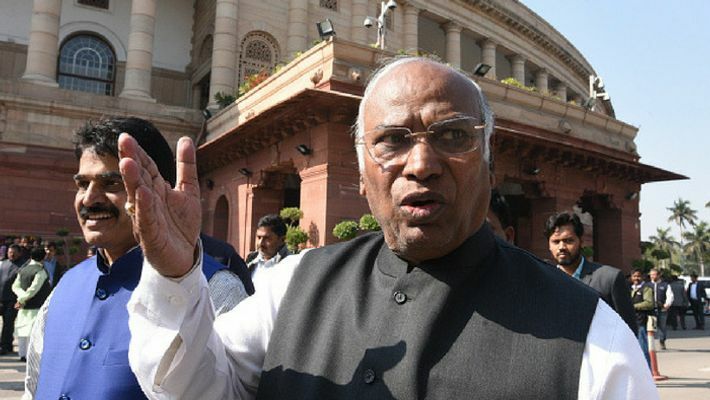 Mallikarjun Kharge, leader of the Congress party in the Lok Sabha, has suggested to the coalition government in Karnataka to consider veteran Congress leader Ramalinga Reddy for the Cabinet berth. Ramalinga Reddy had served as the transport minister and later as the home minister in the previous government led by Siddaramaiah in Karnataka. Not giving the powerful leader any ministry was a surprise to many. But it was also said that current Chief Minister HD Kumaraswamy was trying to keep those close to then Chief Minister Siddaramaiah away from prominent posts. Now, Ramalinga Reddy's daughter Soumya Reddy has won the Jayanagar constituency in the recently-held assembly elections. Jayanagar was till this election, a strong bastion of the BJP. Still, there was no prominent position given to Ramalinga Reddy, who became the MLA from BTM constituency for the seventh time. Now, veteran party leader Mallikarjun Kharge has put forth the demand of including Ramalinga Reddy in the Cabinet. He said that Reddy holds power in Bengaluru and his influence will help the party fight Lok Sabha elections in 2019. Kharge also said that Reddy wields power in at least four prominent constituencies in Bengaluru and is a leader who has very few opponents in the party or outside. Thus, this image will also help Congress in the mayoral elections in Bengaluru, Kharge added.